The Sena, the oldest constituent of the NDA, has announced that it would contest the 2019 Maharashtra assembly and Lok Sabha elections on its own. 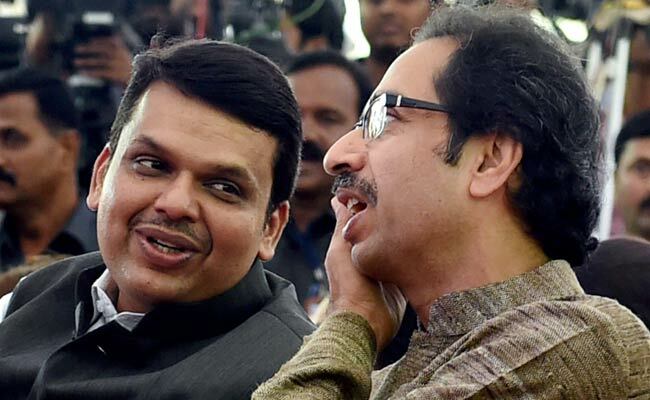 The Sena, the oldest constituent of the NDA, has announced that it would contest the elections alone. Mumbai: The BJP was ready to fight polls with or without the Shiv Sena, Chief Minister Devendra Fadnavis said. He, however, added that the BJP desired that the two parties fought polls together. "I do not read or listen to anybody in the party (Sena) because there is just one person who takes all its decisions. And I have good relations with Uddhav ji (Sena chief Thackeray). I keep meeting him on and off," Mr Fadnavis said. He was speaking at a programme organised by a news channel here in suburban Bandra. Mr Fadnavis further said, "I think we will fight the polls together. However, we are ready to fight it this way or that way." The party has also claimed that the "results of the 2019 Lok Sabha and state assembly polls will be startling". "The situation prevalent in 2014 is no longer there in Maharashtra or in the rest of the country. I admit that many people, who cannot win village polls, got elected as MPs and MLAs. However the situation has changed. The results of the 2019 Lok Sabha and state assembly polls will be startling," Sanjay Raut said during a debate organised by a news channel. Mr Raut said that the party was in an alliance with the BJP as part of a commitment to the people but would fight future polls alone in order to expand the party's base. He reiterated that it was the BJP that broke the 25 year old alliance between the two parties.